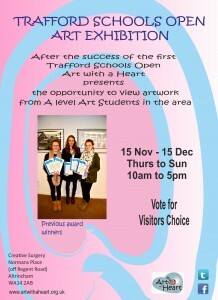 After the success of the first Trafford Schools Open Art Exhibition, Art with a Heart is organising the next Schools Open from November 15 to December 15, 2013. 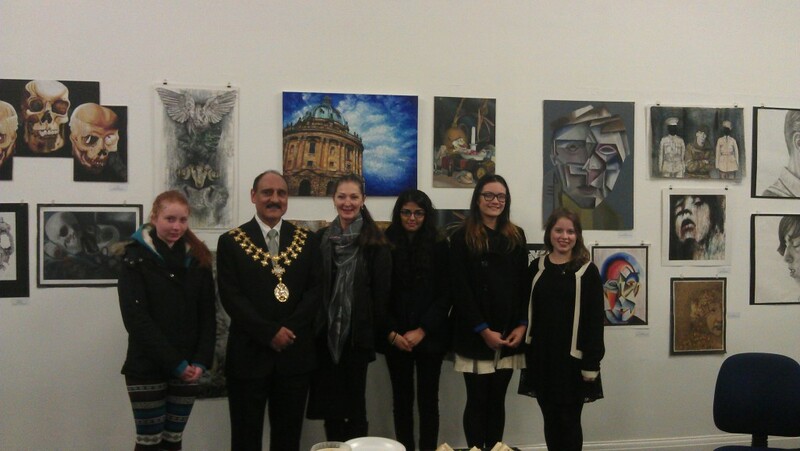 Last year’s School Award Winners, Altrincham Girls Grammar GCS, AS and A Level Artwork is on display at the unit formerly known as New Look at the Stamford Quarter. 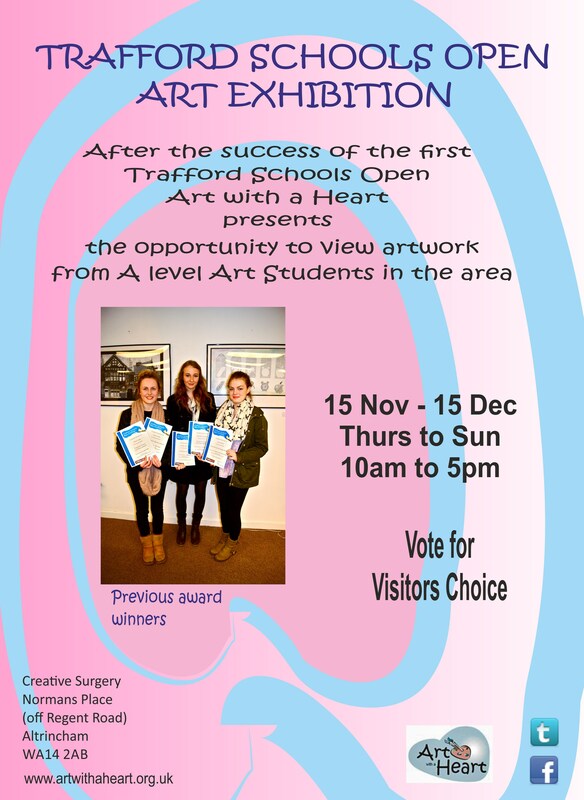 Remember to register your Visitors Choice. Opening Times: 10:00 to 17:00 from Thursday through to Sunday.